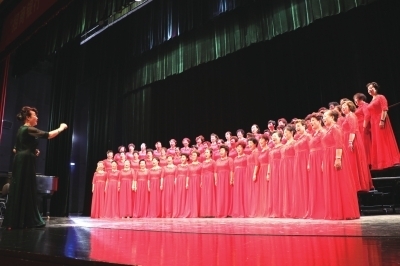 The Lanzhou Yellow River Chorus Festival kicked off at the Gansu Grand Theatre in Lanzhou City, Gansu Province, on July 25. Some 46 choruses from both China and abroad will take part in 17 cultural activities in the next four days. The Lanzhou Yellow River Chorus Festival kicked off in Lanzhou City, Gansu Province, on July 25.